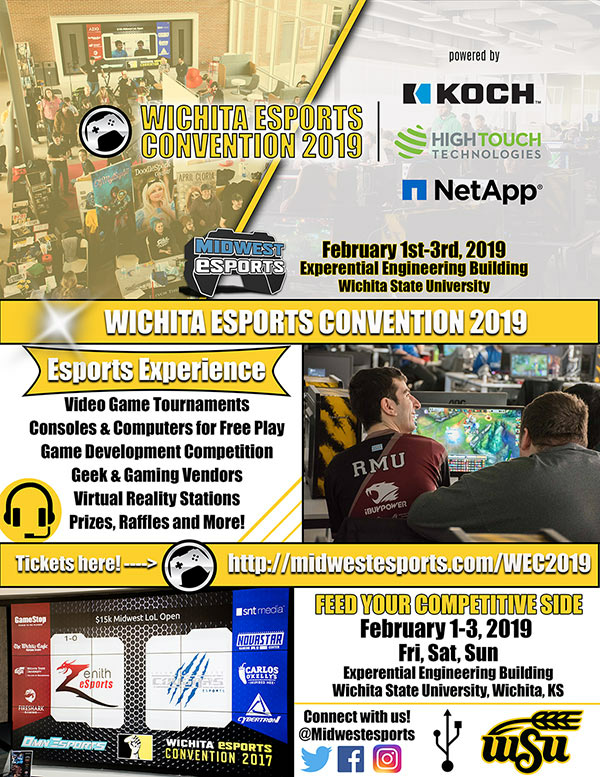 High Touch has teamed up with Midwest eSports to sponsor this weekend’s Wichita eSports Convention. Scheduled from Friday February 1, 2019 to Sunday, February 3, 2019, the event includes video game tournaments, console and PC free play, a game development competition, geek and gaming vendors, virtual reality stations, prizes, raffles, and more. We’ll also be unveiling our brand new trade booth at the event. Be sure to stop by and visit us. Buy tickets and see the full schedule.